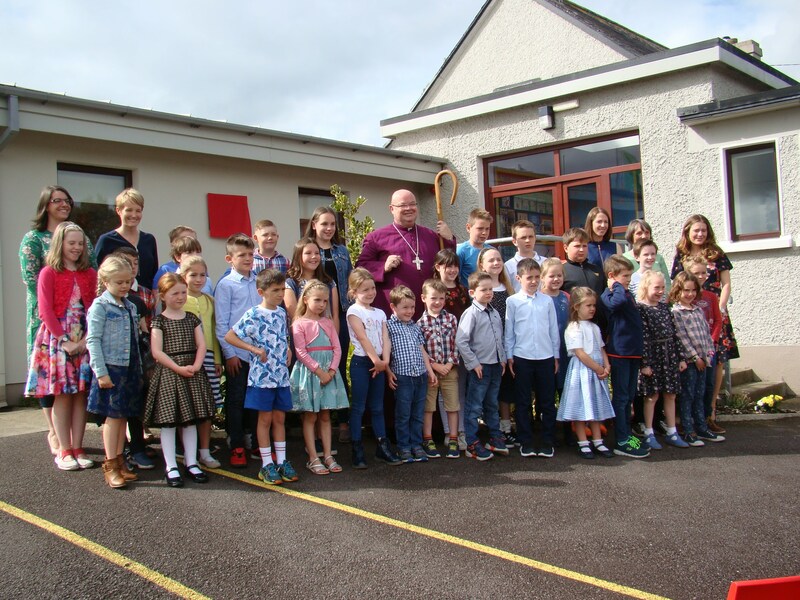 On Friday, 7th September, the Bishop of Cork, Dr Paul Colton, travelled to Ballymoney National School near Ballineen, County Cork to dedicate and open not one, not two, but three extensions to the school. He told the community ‘Every time I planned to come to visit you to open one extension the visit was postponed as you had started work on another one. Well done!’ There has been a small school serving this rural school since 1839. The move to a new building was made in 1958. 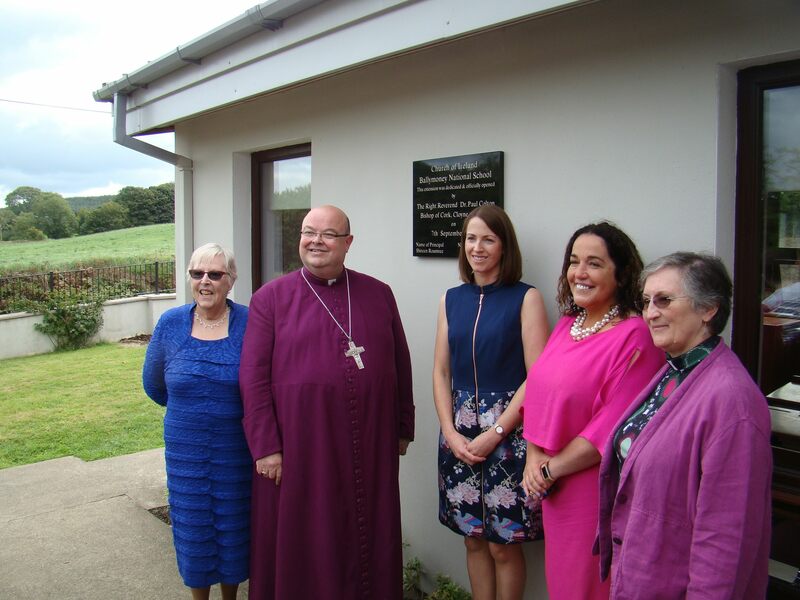 At the official opening of three extensions to Ballymoney National School by the Bishop of Cork were *l-r) Mrs Jean Buttimer, the Bishop, Shireen Rountree (Principal), Margaret Murphy-O’Mahony, T.D., and the Reverend Stella Jones. The Bishop paid tribute to the leadership of school principal, Shireen Rountree, and to the partnership of pupils, parents and guardians, the local parish (Kinneigh Union), the staff, the parents’ association, the Diocesan Education Committee, and the Department of Education and Skills. Special mention was made of the chairperson of the Board of Management, Mrs Jean Buttimer, who, in one capacity or another, has served on the school board for 43 years. Ms Rountree made a presentation to Mrs Buttimer on behalf of the community. 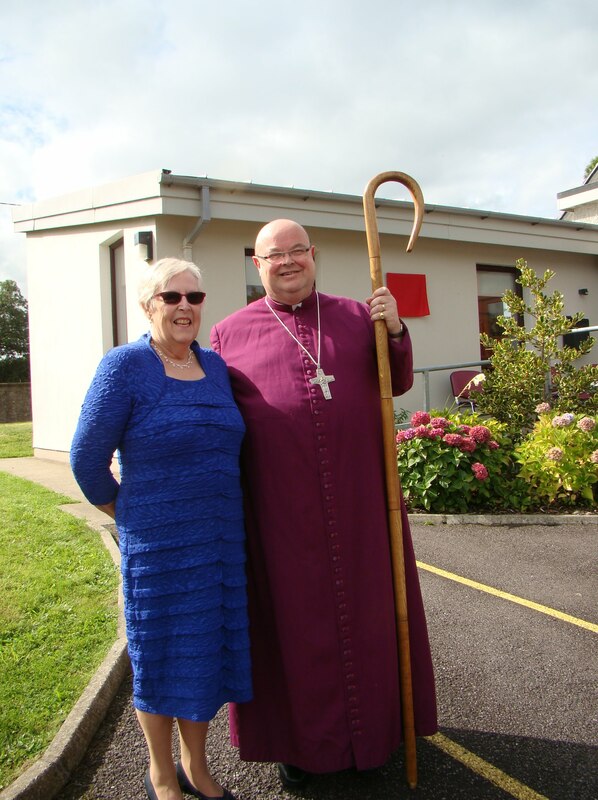 Mrs Jean Buttimer, who, in one capacity or another, and currently as chairperson, has served for 43 years on the Board of Management of Ballymoney National School, with Bishop Colton, Patron of the School. All the children and staff of Ballymoney National School with the Bishop. Following a tour of the school parents and invited guests arrived for the dedication and official opening by the Bishop outside, and afterwards everyone adjourned to the old school house (opened in 1839) for refreshments. An ice cream van had been arranged for the young and not so young! 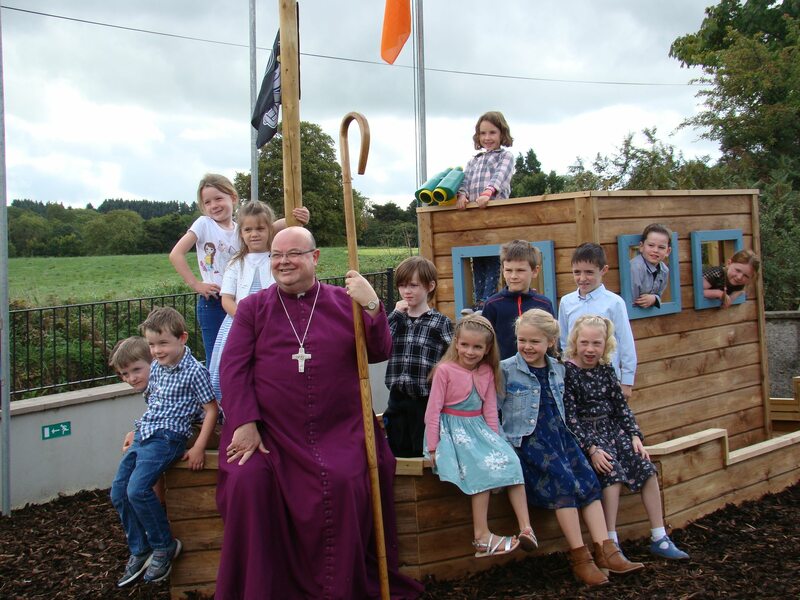 The younger children are joined at their Aistear Play boat by Bishop Colton. This entry was posted in Bishop, Education, Official Opening, People from Cork, People from the Diocese, Schools in the Diocese. Bookmark the permalink.